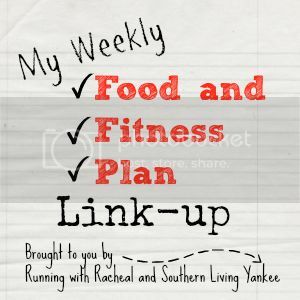 This week was all over the place and despite a little effort, I didn't really follow any food or fitness plan. This weekend felt even more off because my in-laws picked up Ina on Thursday night and took her to their house. I have been without my baby girl for 3 nights. Not once have I snuck to my car to go get her. Aren't you proud of me? The same can't be said for Dan. Poor guy is going through some major withdrawl and every hour asks if he can go pick her up. So what do parents of a one year old do on their first childless weekend? On Friday we roasted a chicken (I know, wild and crazy over here), then watched a movie and drank some wine at home. We paused the movie about every 30 minutes to make "Ina noises" to keep us from getting sad. Saturday we were hard at work with our homemade Christmas gifts. I am so happy to say that we are mostly finished. We have sewed, poured, pricked, glued, framed, cut, stuck, and bent everything. Now we are just waiting for those magic elves who come to wrap the presents. Does anyone have their phone number? I can't really share what we are making because some of the recipients of the gifts read this blog. However, I am taking pictures and plan to do a post next year to give you homemade gifters some ideas. Tip number one: start in August. After I showered all the thread and glue off my body, Dan and I went on a little date. Out to eat, and then to a movie. I stayed awake until almost midnight and slept in until 6:50. Look at me. You all know that I love Ina to pieces, but it was nice and refreshing to have a mom-break for a few days. Having said that, I am really looking forward to picking her up today and kissing every square inch of her face. Saturday: Murder mystery dinner - so excited! Monday: Kim - let's move your treadmill to my basement so we can run next to each other above 15 degrees okay? How nice of your in-laws! I saw the homemade gift pic on Instagram and was wondering how you were able to do that with a 1 year old. Haha, now I know!